Alala & Mystel. Mystel is from বেব্লেড G-Revolution.. Wallpaper and background images in the Pichi Pichi Pitch-mermaid melody club tagged: mystel beyblade alala mermaid melody. 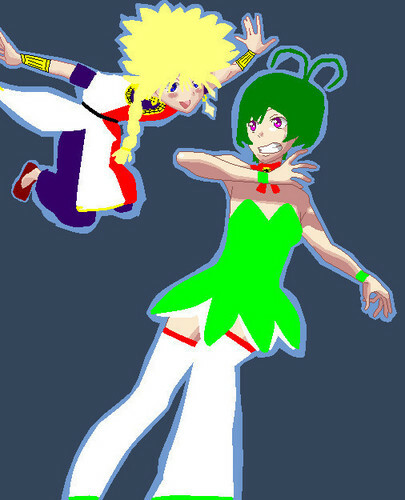 This Pichi Pichi Pitch-mermaid melody fan art might contain নকল মানুষের, কমিক বই, কমিকস, and কার্টুন.